Field Trips is our middle name! This post may contain an affilite link. Are you looking for that perfect gift for the homeschool mom in your life? As a mom myself, I like to receive gifts that are unique and different. In otherwords, gifts that I wouldn’t normally purchase for myself. Homeschooling moms work so hard! 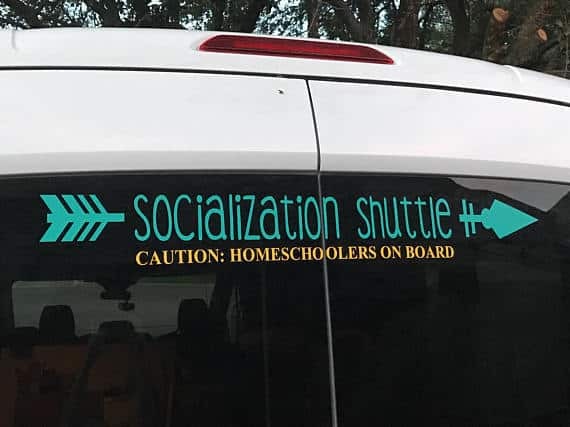 Remember, they’re not just at home tending to the kids, but they’re also pulling out books, conducting science experiments, driving kids to and from their homeschool activities and perhaps even teaching a class or two at their local homeschool c0-op. Sometimes homeschool mothers even work outside the home. Being a homeschooling mom is not for the faint at heart! Thefore, it’s great that you want to give her a little something exta special to make her life easier and tell her how much you appreciate all that she does. 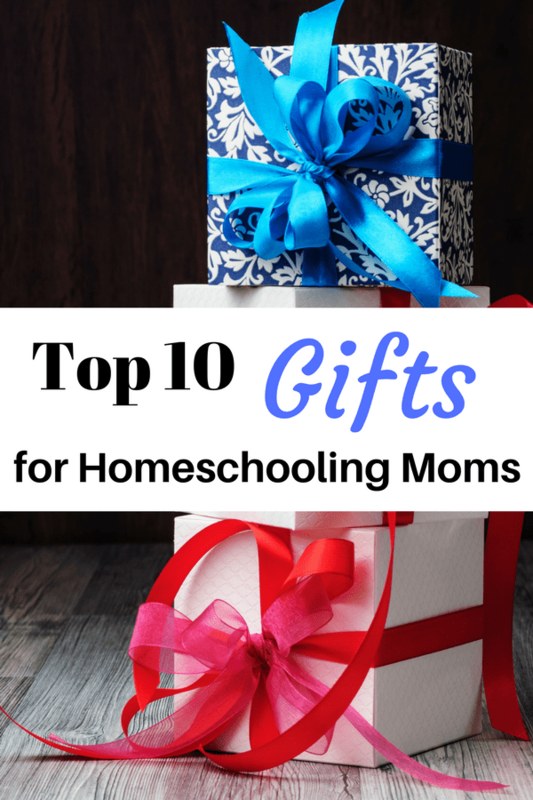 Here is a list of the best gifts for homeschooling moms that are ideal for any occassion including Mother’s Day, Christmas and birthdays celebrations. This sums up most days for busy homeschool moms! Just add a cup of coffee and you are good to go. 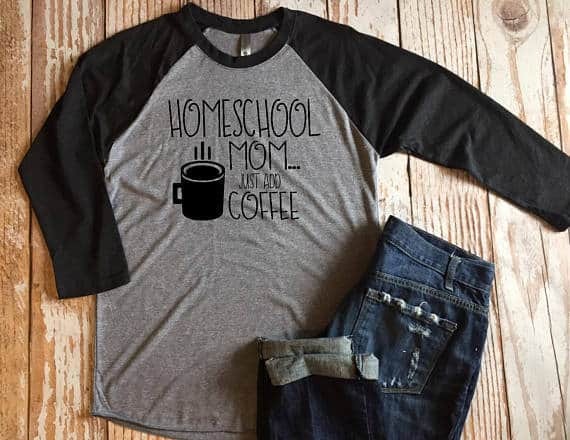 Another great homeschool mom t-shirt. 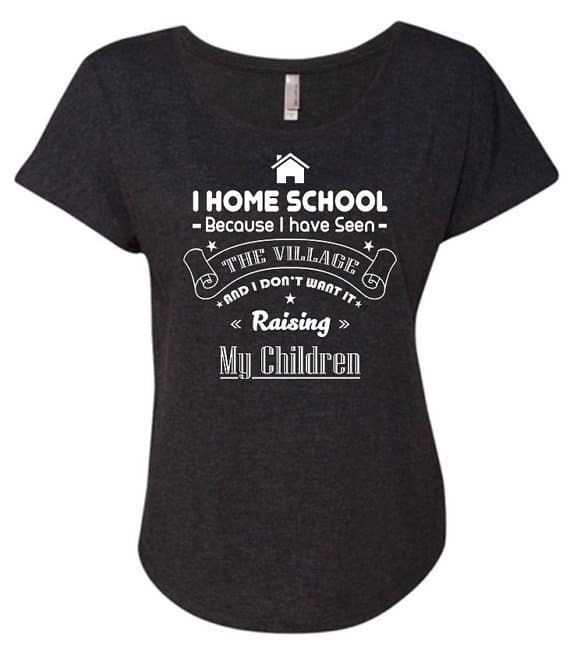 I especially love the sarcastic phrase “I homeschool because I have seen the village and I don’t want it raising my children!” Since the shirt is soft and comfy, why not get her one of each? This map is so much fun and makes a great teaching tool as well. 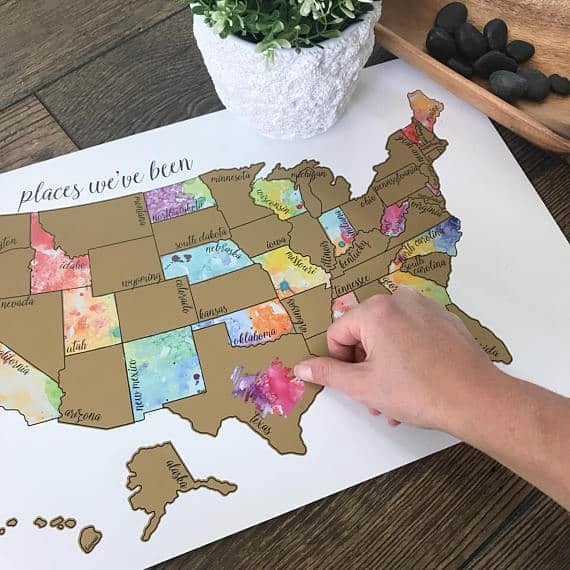 The United State Watercolor Scratch Off Map is a 12×18 map printed on a thick poster like material. The background of the map is glossy so as to make for easy clean up. The gold foil scratches off easily too and with ease. Homeschooling is definitely a calling! 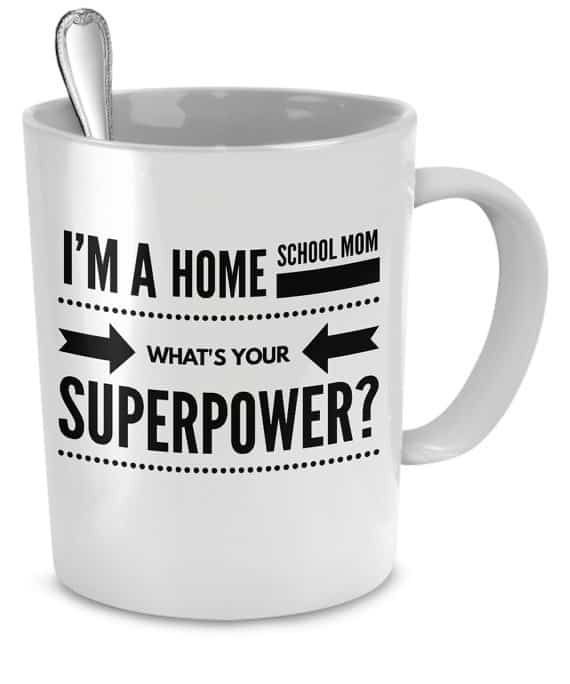 With this mug, you can make the homeschool mom in your life light up with delight. The 11 oz. mug is dishwasher and microwave safe. Are you looking for that perfect Mother’s Day present? 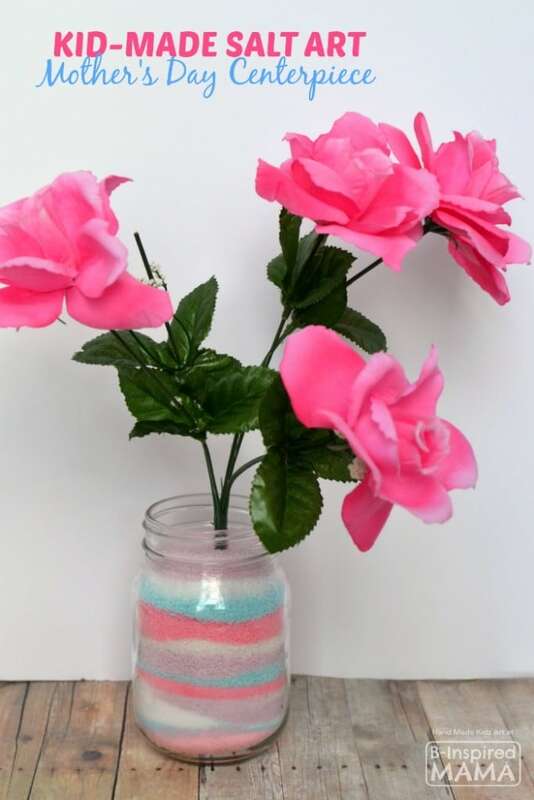 Skip the long lines at the mall this year, and instead, gather your craft supplies together to make one of these easy 25 Homemade Mother’s Day Crafts for Kids. 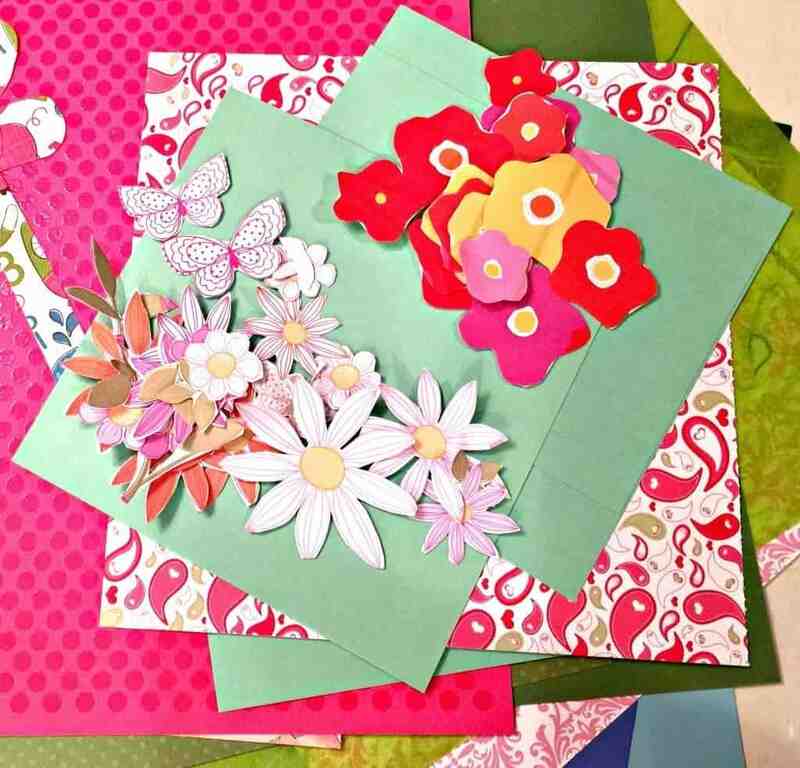 Mom or Grandma will love the thought your children put into making these sweet Mother’s Day crafts, including handmade cards, sugar scrubs, handprint flowers and other heartfelt gifts. Who needs flowers anyway? Well, sometimes I do! 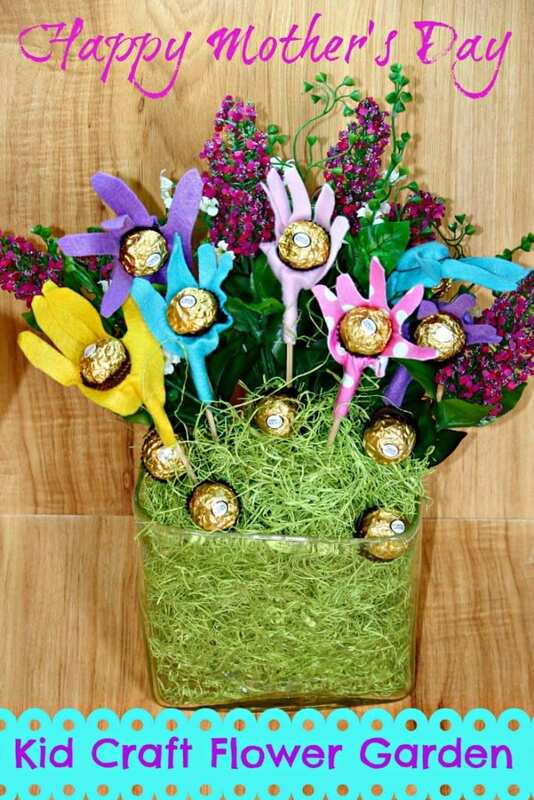 Now that spring is here, it’s time to jump start your creative juices and make some colorful flower crafts for kids! What do you imagine when you think of spring? I think of flowers, oh the fresh smell. And April showers too. The hope of a rainbow. And of course, caterpillars, butterflies, bunnies and Easter eggs. 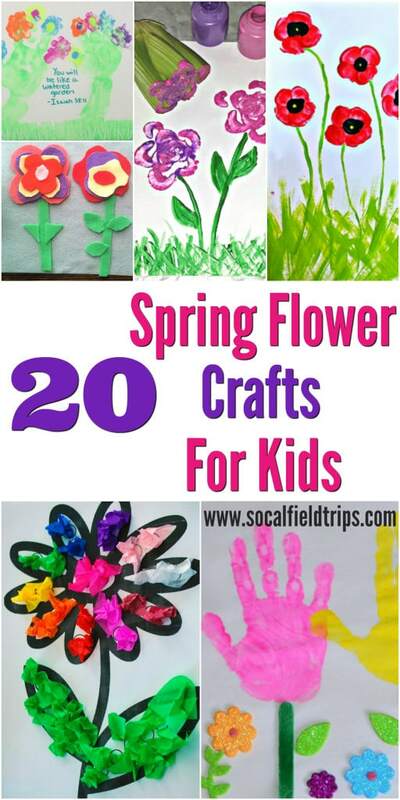 Keep reading to see 20 of our favorite flower crafts for kids you can do this season! Recycling is a very important concept to teach our children. Not just through talk, but through action. In our house, we try to recycle everything we can including plastic bottles, aluminum cans, cardboard, paper and more. 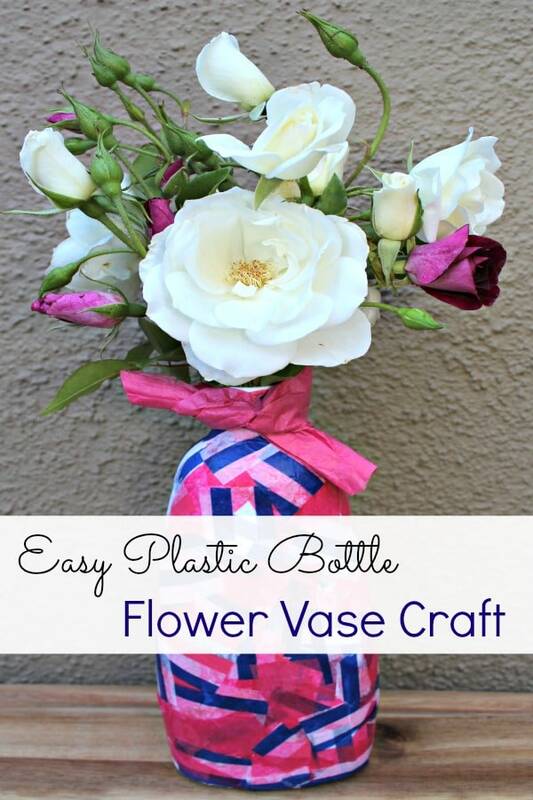 We also enjoy doing a variety of recyclable art projects together, including making easy plastic bottle flower vases for our friends and family. Furthermore, since we believe in protecting the environment, we actively participate in the Johnson & Johnson Consumer Inc. Care To Recycle® program. Through this program, we have learned all sorts of creative ways to recycle our personal care products in our bathrooms. Johnson & Johnson Consumer Inc., encourages parents to be an emerging bright spot when it comes to extending in-home recycling habits to the bathroom. In general, they want you to lead by example. A recent 2016 consumer survey on in-home recycling habits, conducted in partnership with Johnson & Johnson Consumer Inc., revealed that one-third of regular recyclers (34%) admit that it never even occurred to them to recycle in the bathroom. I am guilty as charged! Personally, the largest obstacle I have when it comes to recycling my personal care products is a lack of tools and resources. That’s why I enjoy the Care To Recycle® program. The creators make it easy to understand what you can and can not recycle and provides tips to families to guide them along the way. For example, did you know that you can put a dedicated bin in your bathroom to recycle personal care products? It’s such an easy thing to do, even my 6 year old daughter has gotten on board. 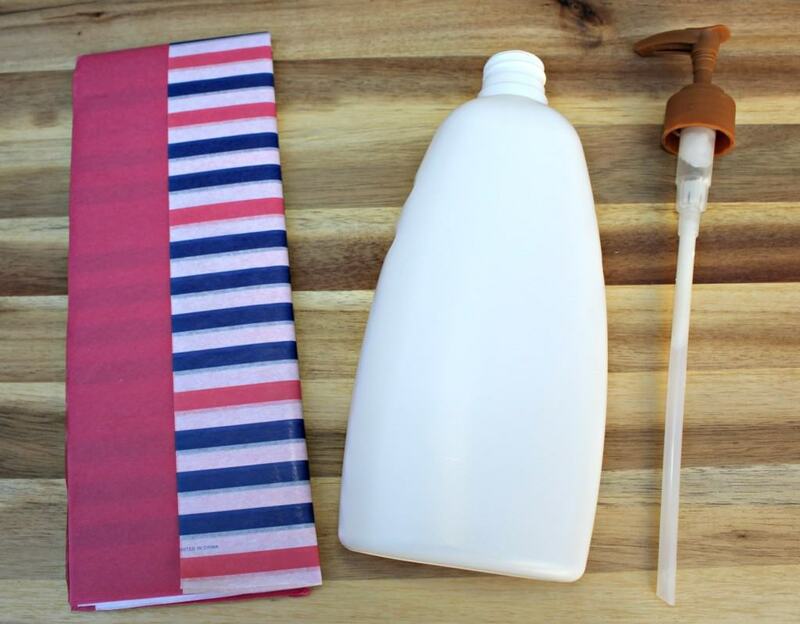 There’s a lot of craft ideas for plastic bottles! You can turn a clear plastic bottle into an eye-spy game for kids, make a maraca out of an empty shampoo bottle or create refrigerator magnets from leftover bottle caps. 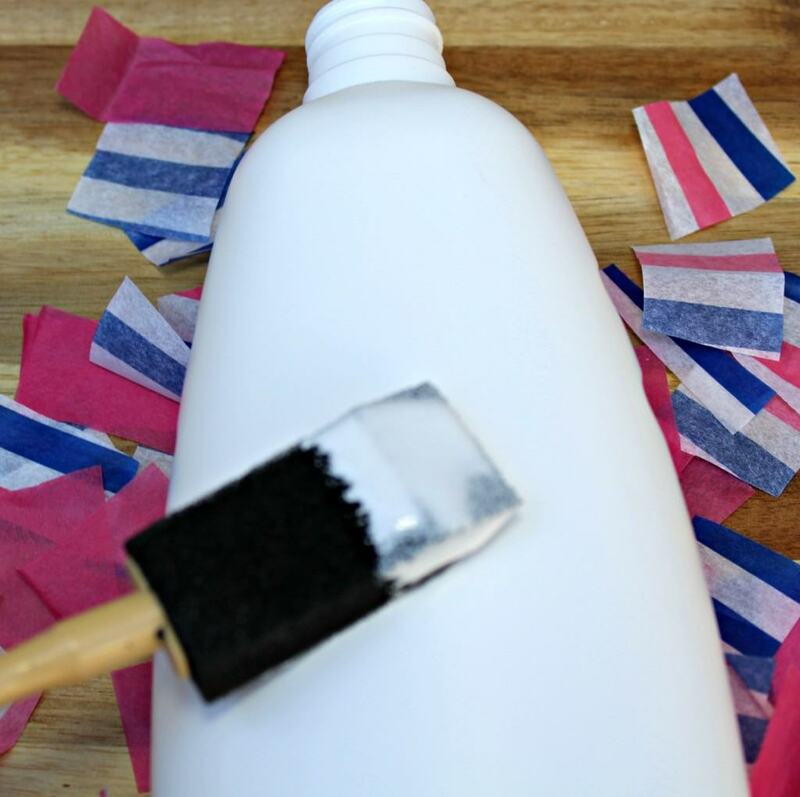 The ideas for recycling personal care products are endless if you think beyond the original purpose of the bottle. 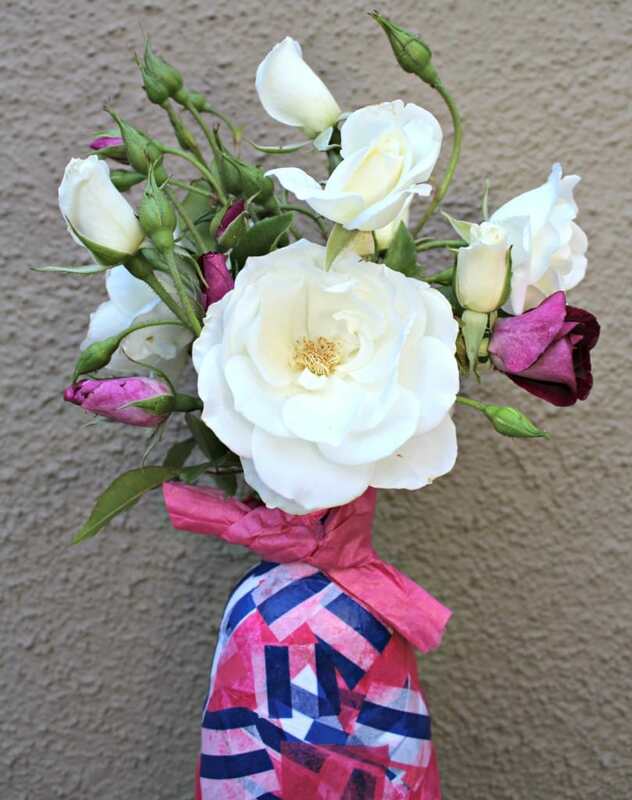 For example, recently I made my mother-n-law a cute Recyclable Plastic Bottle Flower Vase out of an empty lotion container I had hanging around the house. I realized I could re-purpose the bottle for Mother’s Day. Again, I thought outside the bottle! First, you want to take any labels off on the bottle and give it a quick rinse to remove any left over residue. 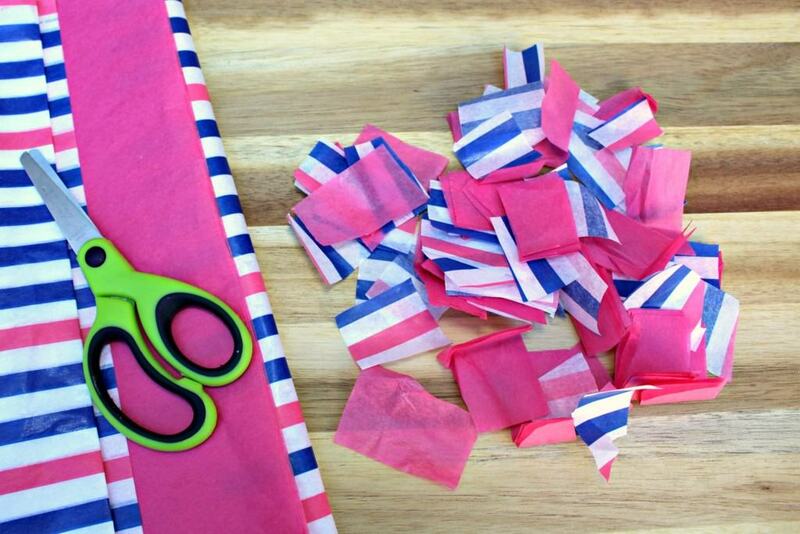 Second, cut up approximately 40 small squares of a variety of colored tissue paper. You can use as many colors as you want, but I personally prefer to only use 2 to 3 for my recyclable flower vase. 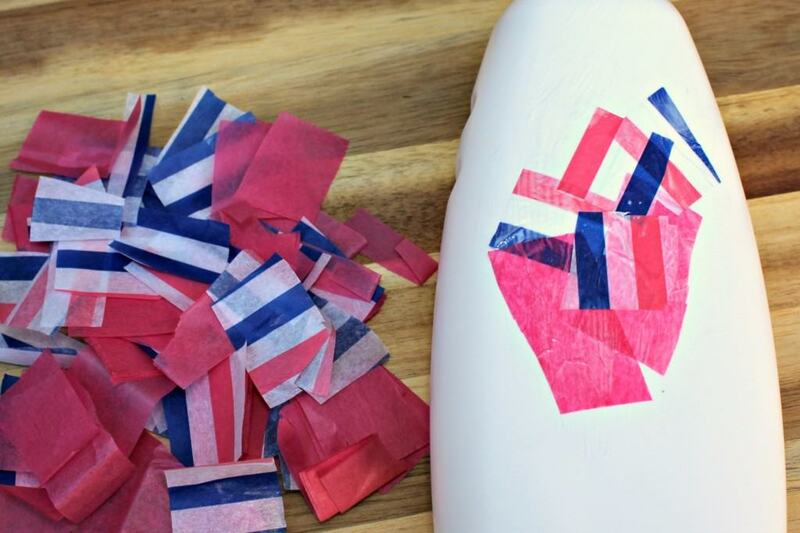 Next, brush a light coat of Mod Podge all over the bottle. 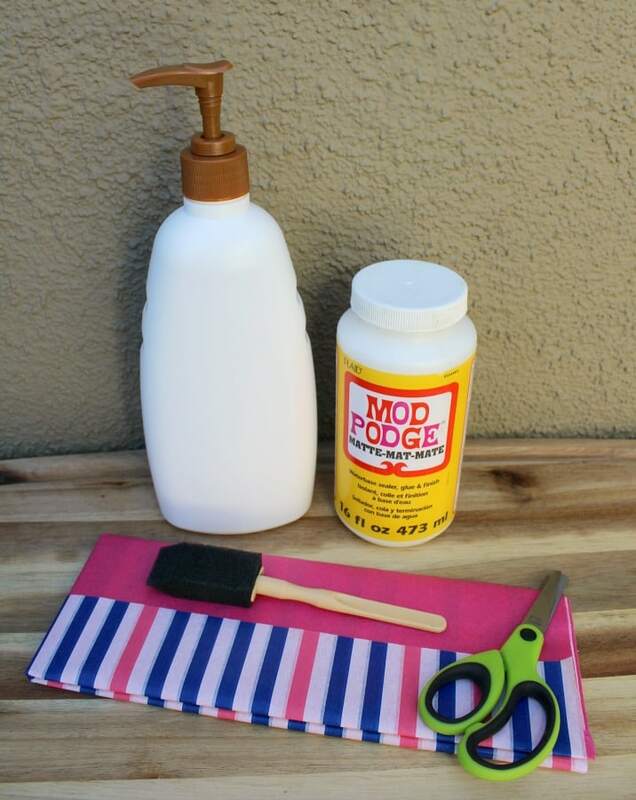 The key to using Mod Podge is to go slow and only use a small amount. One brush stroke can go a long way! Next add the tissue paper squares all over the bottle. You can either design a pattern yourself, randomly put them on the bottle or skip certain sections. 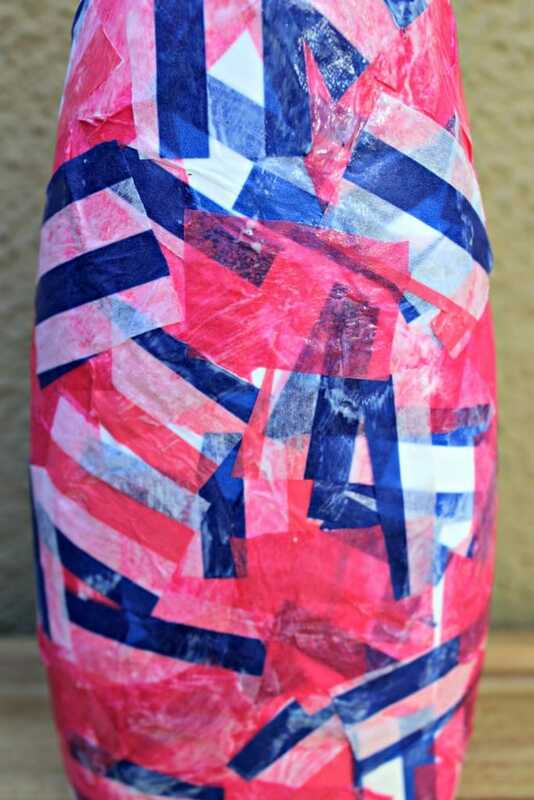 The joy of making crafts from recycled materials is that you can do whatever inspires you! 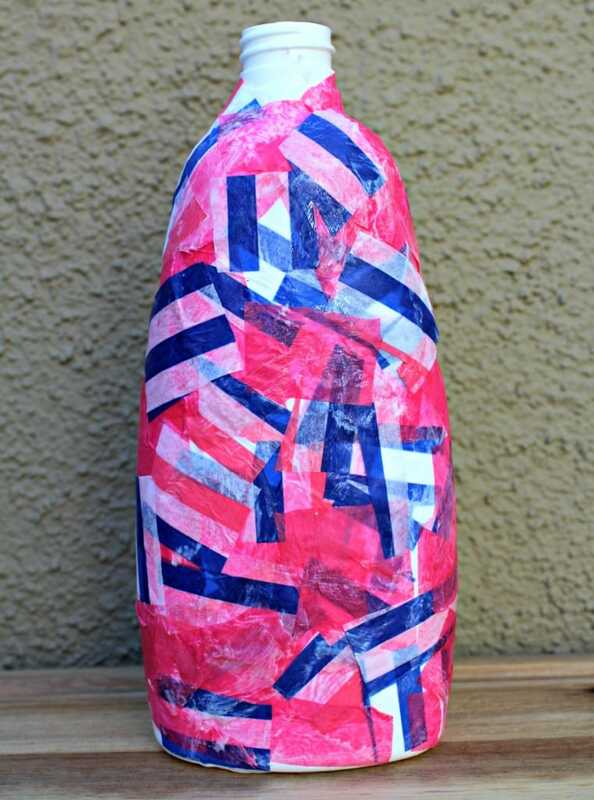 Finally, roll up a sheet of tissue paper and wrap it around the lip of the bottle as an accent piece. 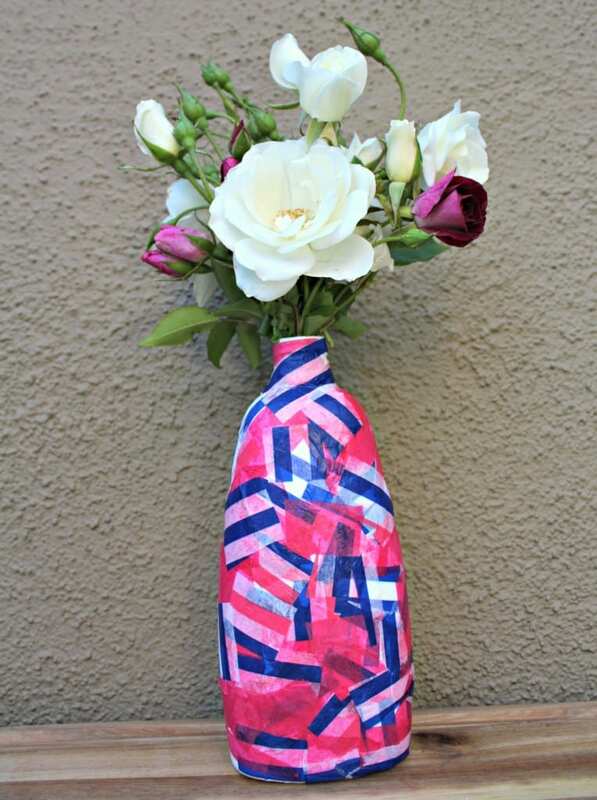 Include some fresh flowers and now you are ready to enjoy your beautiful recyclable flower vase inspired by the Care To Recycle® program! This post contains an affiliate link. Mother’s Day is only two weeks away! Have you started shopping for that perfect gift yet? This year I have decided to make save some money and make a few homemade presents instead. 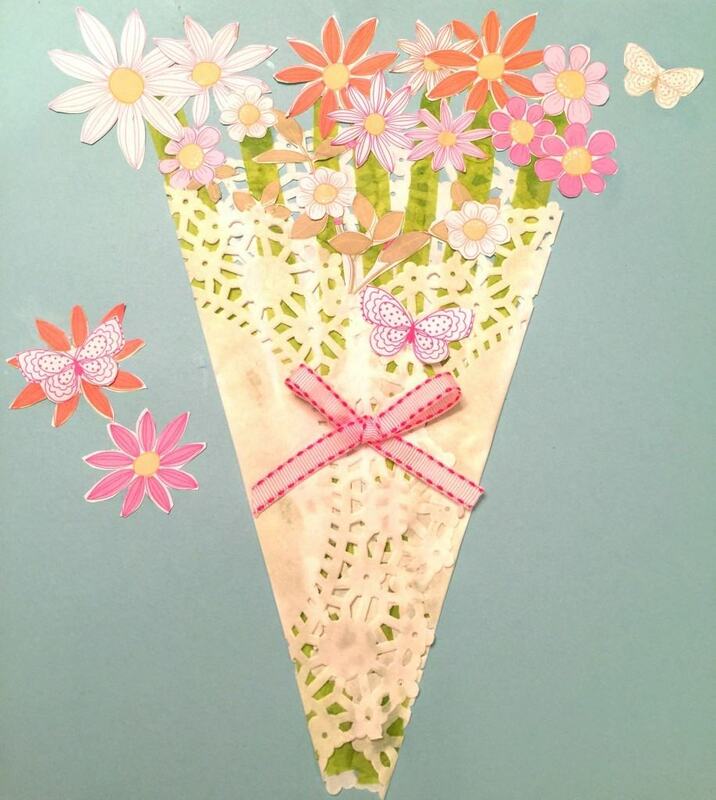 Last night, I made two Mother’s Day Paper Flower Crafts for two very special mothers in our family. 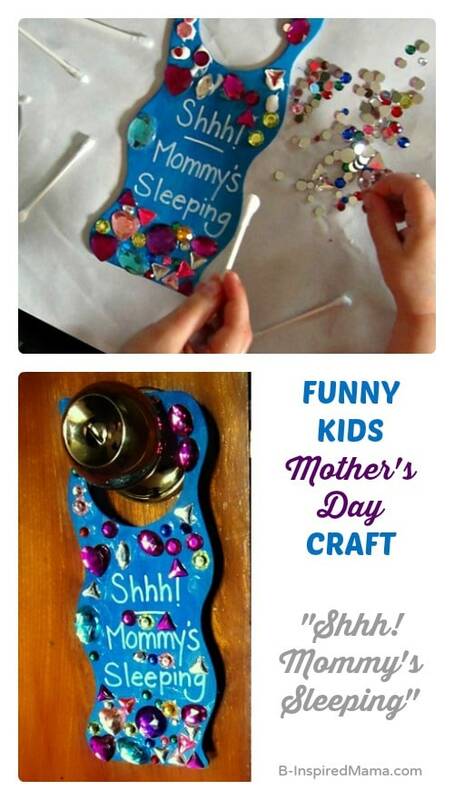 This is a wonderful craft for preschoolers to preteens alike. The older the child, the more decadent they can make theirs. 1. Gather up your supplies. 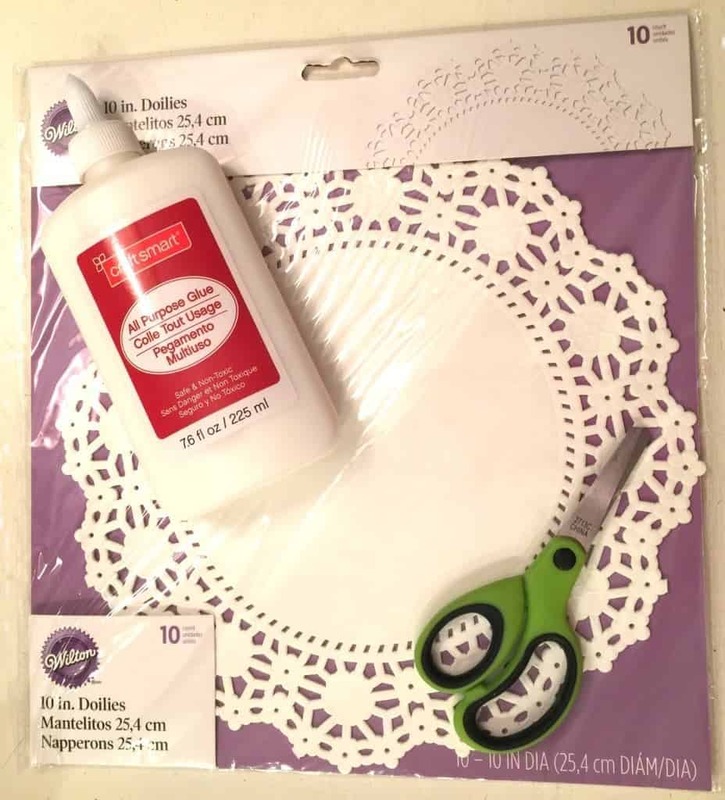 All you will need for this craft is a doily, flower printed craft paper, green construction paper, white glue, scissors and ribbon. 2. 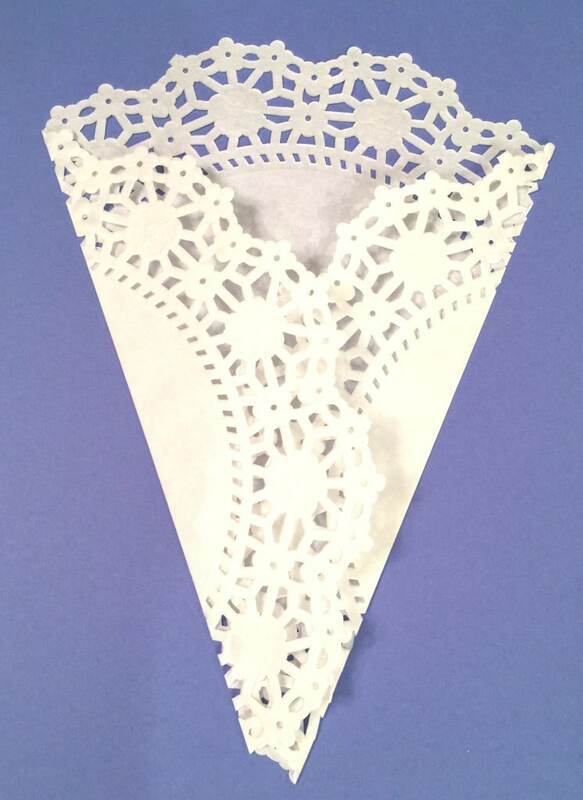 First, fold in both sides of the doily. 3. 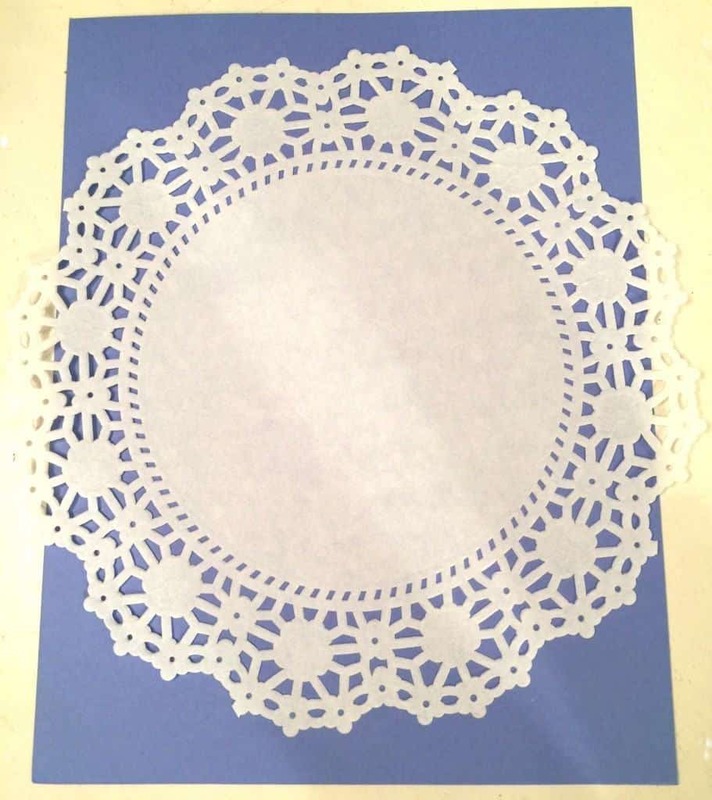 Glue the back of the folded doily down onto a sheet of craft paper. 4. 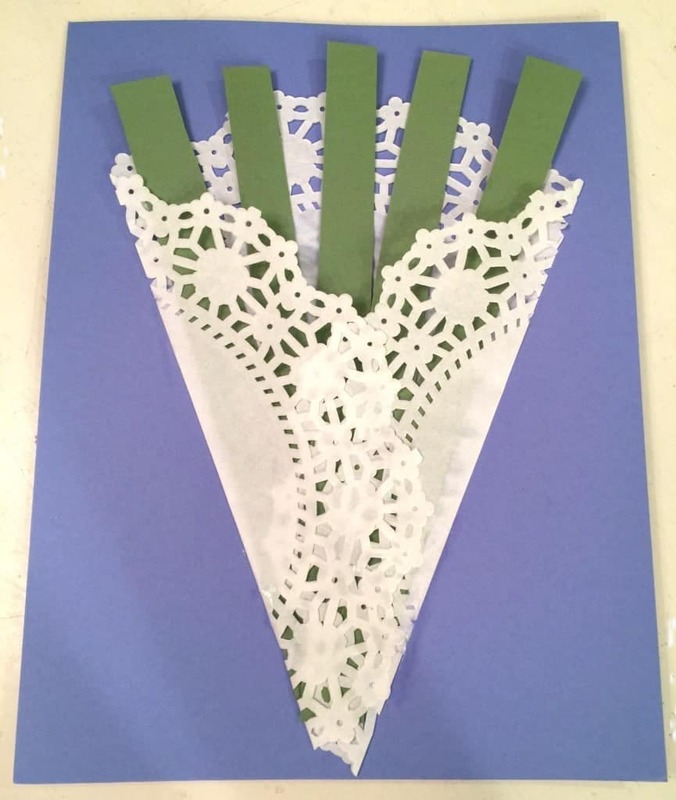 Next cut out some green flower stems using the green construction paper. 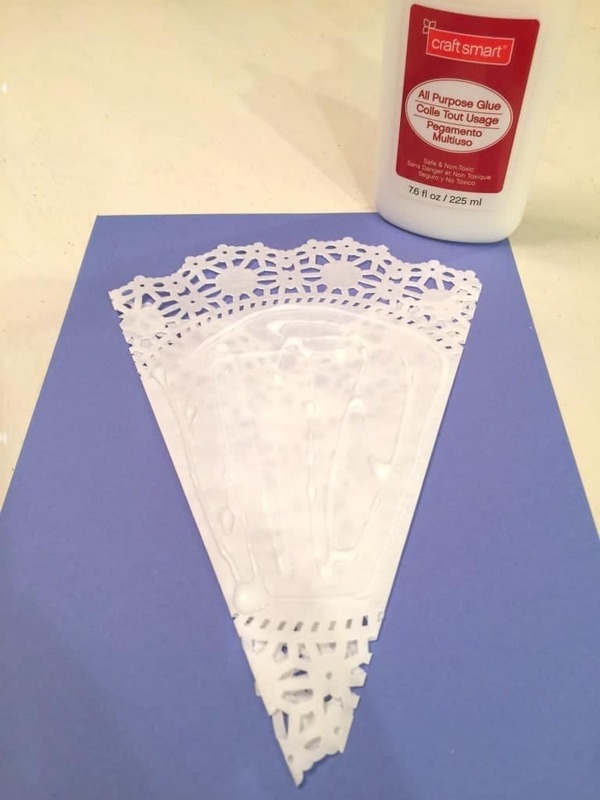 Glue the stems inside the doily. 5. Cut out several different flowers patterns and glue them onto the green flower stems. 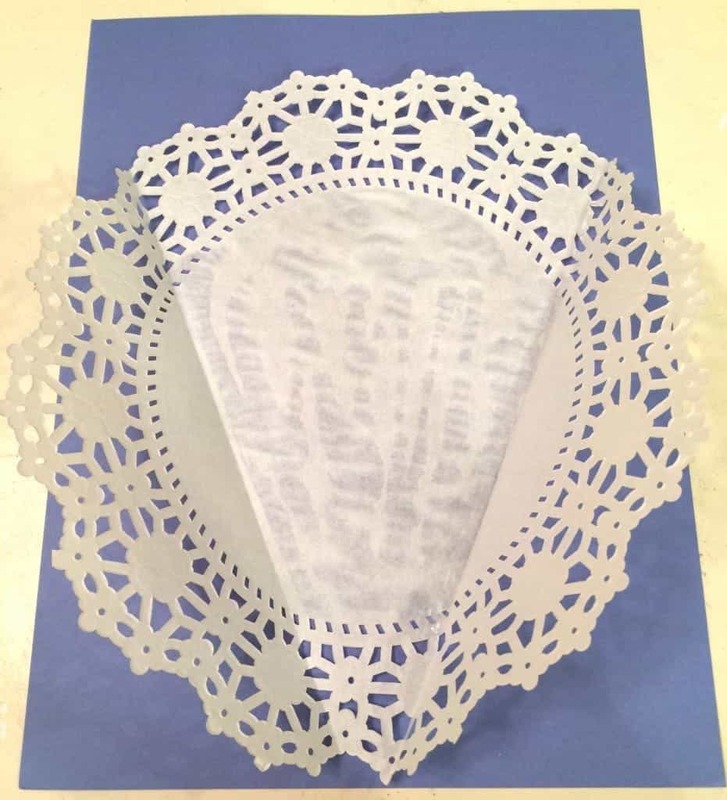 Fold in the sides of the doily and glue them down. 6. 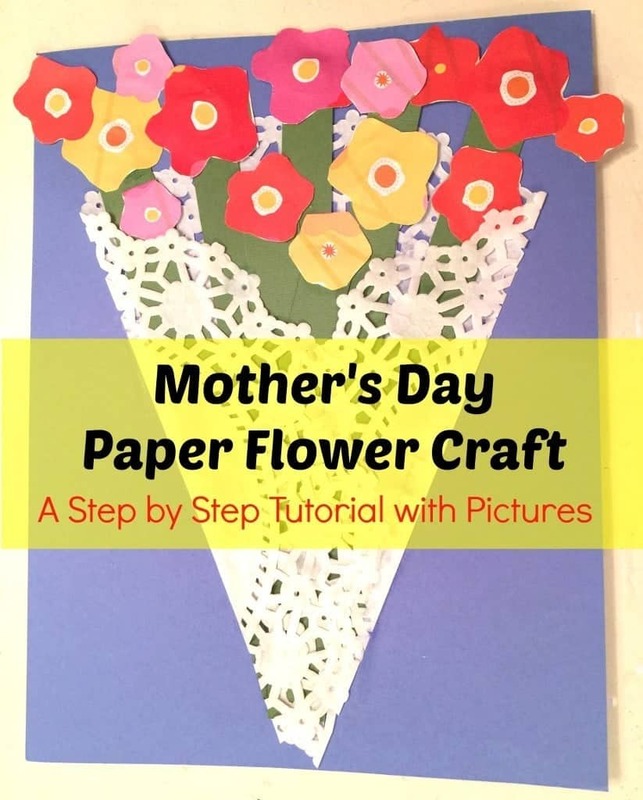 Finally, add a ribbon and enjoy your beautiful handmade Mother’s Day Paper Flower Craft! Here’s a picture of another Mother’s Day Paper Flower Craft that I made for my mother-n-law. I hope she likes it! Who do you plan to make a Mother’s Day craft for this year? Need some ideas? 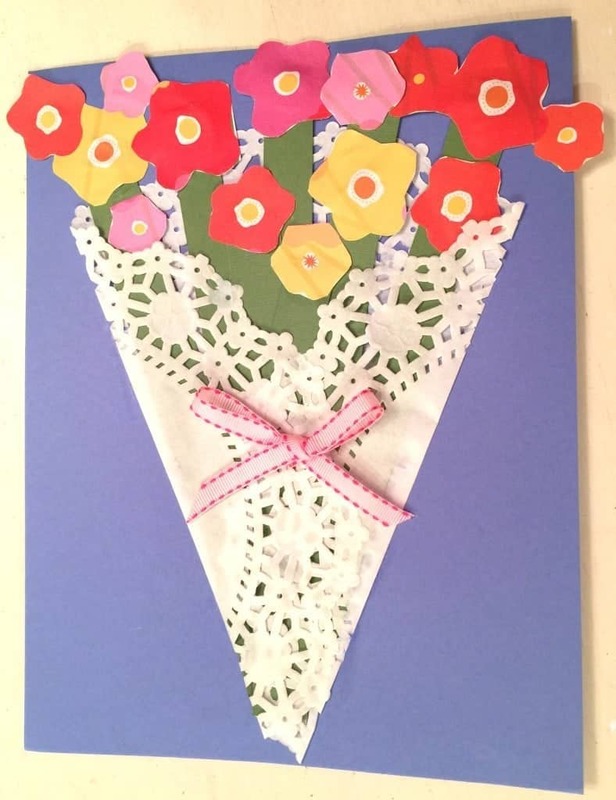 Check out our Mother’s Day Craft Board on Pinterest! 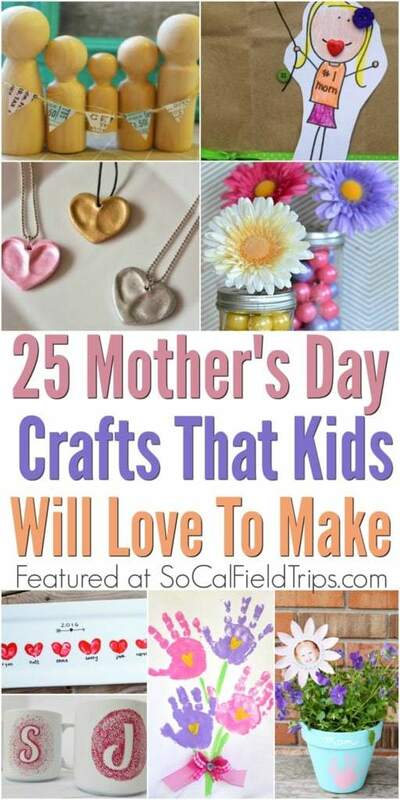 Follow SoCal Field Trips’s board Mother’s Day Ideas on Pinterest. Subscribe Today to Get Your FREE Field Trip Planning Guide! Sign up today and be the first to get notified of new updates.